Self-ordering kiosks are becoming popularinfast food businesses these days. In fact, thefastfood giant, McDonald’s, is amongst the businesses thatintroducethis technology(Mirror UK). So, rather queuing up to be served, customers can now choose their meals using touchscreen kiosks. These kiosks are built with industrial computer displays that can withstand frequent use of customers. It also comes with industrial-grade components to ensure that it can resist potential causes that may damage the system. Would you like to know why self-ordering kiosks are being embedded with industrial PCs? Read through this blog and get to know the advantage of utilising industrial PC displays to self-ordering kiosks. In the UK, the food industry bears a competitive market. Consumers are not only looking for best meals. But, they are also looking for the easiest, fastest and the most convenient way to order foods. This is the reason why self-ordering kiosks are built. As a kiosk manufacturer, it would be a great advantage to determine the trends and needs of the food industry. However, this industry has also a challenging environment where customers are frequent users. At the same time, kiosks are integrated to complex applications to perform specific functions. Thus, an industrial type of computer must be embedded into the kiosks system. This device can feature a touchscreen technology. Hence, customers can easily order a meal by tapping the displayed menu on the screen. Now, can this device has the capability to perform certain applications for self-ordering kiosks? Learn moreaboutits details and how it can provide benefits to food businesses. Self-ordering kiosks with industrial panel displays can come with many advantages. Here is a quick rundown of its main benefits. A well-presented food menu can attract more potential customers. Most likely, they choose to buy more than would have otherwise. Industrial PCs can provide better images because it bears high definition resolution. There may be instances where orders are misspelt due to thewrongpronunciation of words. And, it can cause an embarrassment to either the food handler or the customer. But, with an industrial-grade PC embedded on self-order kiosks may give the customers a freedom to order what they want. All they need is tap unto the icons displayed on monitors. Long queues can be a big turn-off for customers. So, installing this device can help streamline the process of ordering. This computing device is built with a compatible operating system. It is designed to perform complex operations including kiosk’s applications. 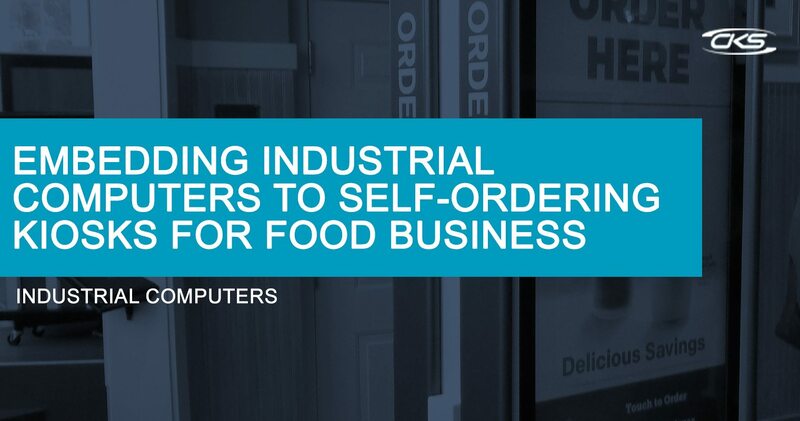 Indeed, self-ordering kiosks are changing how food businesses should work. But, this kind of technology can provide a major impactonsales and customer service. So, as a kiosk manufacturer, choose the right industrial PC displays for self-ordering kiosks today.